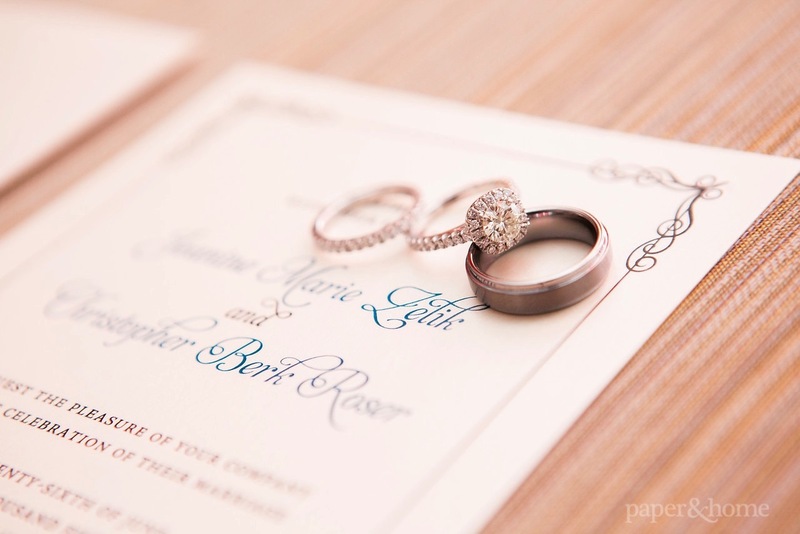 Jeanine and Christopher’s classic teal and black wedding invitations are effortlessly beautiful. The simple design strips down the craziness of wedding planning and brings out the natural beauty of marriage. 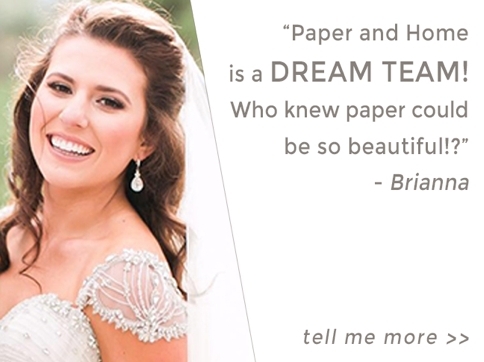 The couple found us through theKnot.com in search of their perfect invitation, and it was such a pleasure working with them! 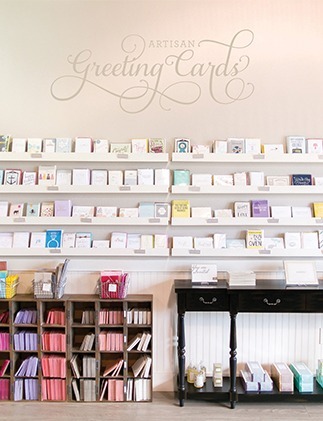 Inspired by our Paige design from our ready to order collection, the cards feature a delicate border and graceful, understated fonts. 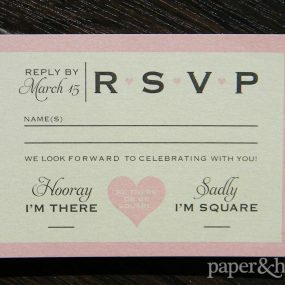 The open space of the invitation give the design a very clean and minimal look. Accents of blue match the couple’s easy going personality and, not to mention, the groom’s tie! 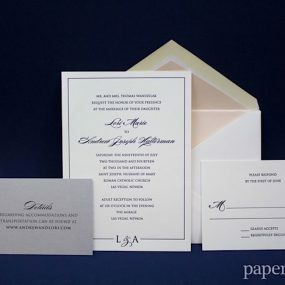 For a subtle uniqueness, they chose our champagne shimmer card stock and paired it with an envelope of matching color. We love how the invitation’s neutral tones also complement the bright coral bridesmaids dresses for an airy, beachy feel. 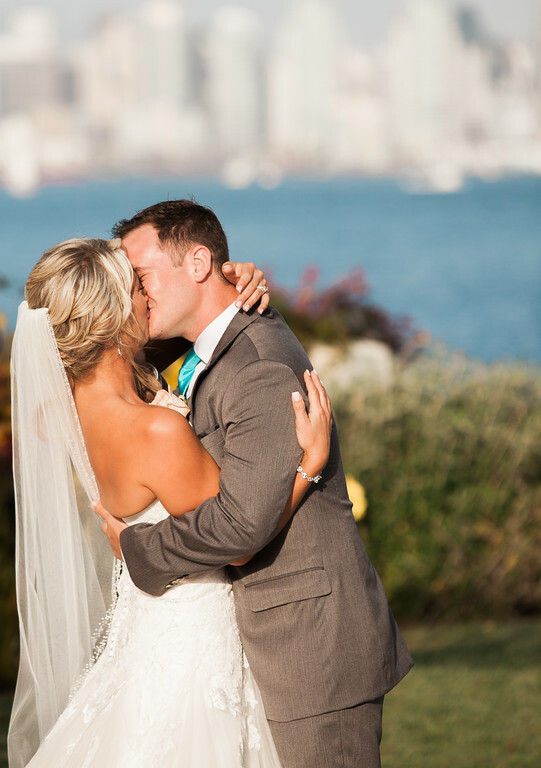 It is an elegant touch to the couple’s wedding venue, Tom Ham’s Lighthouse, located in San Diego, California. Elegant and simple: Jeanine and Christopher’s classic teal and black wedding invitations are ones that can never go wrong. 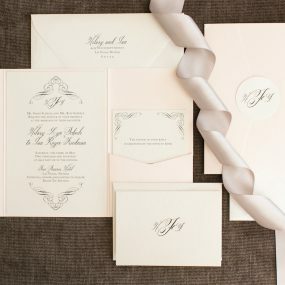 Jeanine and Christopher’s complete wedding invitation set. A huge thank you to Michelle Lacson for providing the gorgeous photography!